"We want to learn from Korea how we can successfully hold 2010 World Cup soccer game. Korea was a very successful host of 2002 World Cup." said Mr. Gary Van Staden, a South African journalist in a press meeting with The Seoul Times and a dozen other local news media. In particular, Mr. Staden stressed the South Africa's need to learn positive impacts of the 2002 World Cup Game on Korea's economy and society during and after the world's most influential soccer tournament. 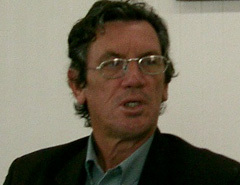 Mr. Staden serves as editor in chief of The Citizen, South Africa's second biggest daily newspaper. The press conference was arranged on May 18, 2004 by Korea Press Foundation. South Africa will become the first African nation to hold the World Cup Game. South Africa was chosen as the host of the world's largest soccer tournament in the executive committee meeting of FIFA (Federation of International Football Association) held in Zurich, Switzerland on May 15, 2004. Three other bidding countries were Morocco, Egypt, Tunisia, and Libya. 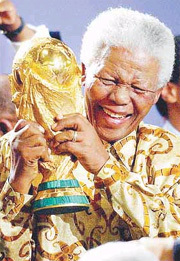 Recently, former South African President Nelson Mandela said that the award of the 2010 World Cup, world's most prestigious soccer tournament, would be an ideal present for South Africa celebrating 10 years of democracy. The tournament was worth 400 million dollars to its economy and would create 150,000 jobs. Asked about the problems facing South Africa, Mr. Staden pointed out "the rising unemployment and wide-spread poverty" as the most pressing problems South Africa should tackle before it holds the World Cup game. Currently, unofficial figures of its unemployment hover over 40 percent while large chunks of its populace still live under poverty line in this by far the most-wired country in the whole African continent. "Reagan supported white government in South Africa and he even defined ANC (African National Congress) as terrorists' (group) in 1980s," said Mr. Staden, referring to the difficulties the nation faced in its path toward democracy. 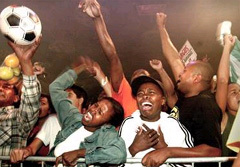 On April 27, 2004, its Freedom Day national holiday, South Africa celebrated the 10the anniversary of its first democratic elections. "The war now in Iraq cannot be justified and the U.S. has not found any weapons of mass destruction," criticized Mr. Staden. "The U.S. foreign policy is centered on its own interests." Mr. Staden arrived in Seoul May 15, 2004 for his first eight-day visit to Korea. He leaves Korea on May 22. Korea Press Foundation invited the South African journalist. He visited Samsung Electronics Co. on May 18 as part of his industrial inspection tour. On May 19, he visits the truth village of Panmunjom within DMZ (demilitarized zone) which divides North and South Korea. In the evening of the same day Mr. Staden will attend an official reception to be thrown at South African Embassy in Seoul by His Excellency Amb. Sydney B. Kubheka and his wife. On May 20 and May 21, his itinerary includes a visit to POSCO in Pohang and Hyundai Motor Co. in Ulsan. He also visits the ancient city of Gyeongju on his culture tour. Mr. Staden worked extensively in journalistic, political, and diplomatic areas in South Africa. South African Institute of International Affairs (SAIIA). Mr. Staden also worked as a foreign policy and economic advisor for African National Congress (ANC) for many years. He lectured South African politics at the University of Leicester in England for two years. Mr. Staden assumed the chief editorship of The Citizen in 2001. Founded in 1976, the morning daily newspaper is widely influential with the daily circulation of over 120,000. Headquartered in Johannesburg The Citizen is distributed throughout the African country. The English language daily is enjoying wide readership particularly amongst intellectuals of both white and black people. 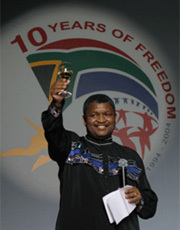 Staden received his bachelor of art (BA) degree from the University of South Africa with political major in 1983. He also studied South African politics and economics in the University of Witwatersrand and earned his BA degree from the university. Mr. Staden authored a number of books mainly on political and economic fields. His volumes include "South African at the Crossroads" (published by SAIIA in 1991), "Financial Markets in Africa" (published by McMillan in 19920), "The Impact of the EU Single Market on Developing Economies" (published by SAIIA in 1990), and "The Ties That Bind — Southern African Trade with the EU" (published by University of Leicester in 1992).